Rodney Stoke is a small village nestling at the foot of the Mendip Hills between Wells (5 miles, 8 kilometres) and Cheddar (3 miles, 5 kilometres). 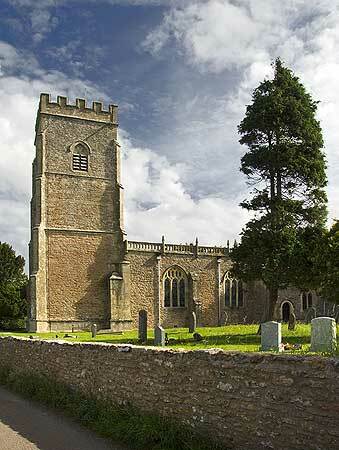 It was listed in the Domesday Book of 1086 as Stoches, meaning 'a stockaded settlement'. In 1291 it was called Stokgifford, after the Gifford family who were lords of the manor. The last of the Gifford family, Maud, married Sir Richard Rodeney in the latter part of the 13th century, after which the village became Stoke Rodeney, or Rodney Stoke, as we know it today. The church is a Grade I listed building, indicating that it is of significant architectural and historic importance. One of its most interesting features is the North or Rodney Chapel, containing monuments and memorials to members of the Rodney family from 1478 to 1659. These include an effigy of Sir Thomas Rodney in full armour, and a beautifully detailed alabaster effigy of Anne Lake wearing a jewelled costume. The church and the monuments are important enough to feature in Pevsner's Buildings of England, in the Somerset North and Bristol volume. The churchyard contains a Grade II* chest tomb, possibly to another member of the Rodney family, and a Grade II grave slab dating back to the 12th or 13th century. The latter has recently been moved inside the church to protect it from further weathering. As you can imagine, these centuries-old monuments need loving care and attention to record, protect and preserve them for the enjoyment and education of visitors to the church. In support of this aim, we have already embarked on a major conservation project. To read more about this, and see how you can help, please go to the Conservation Project page or click here. With this website, we hope to introduce you our beautiful and historically important church and some of its parishioners past and present. But this is only a website, so we hope that you will come in person to see for yourself. The church is usually open to visitors and for private prayer every day. If you found your way here while looking for details of the services we hold in the church, please go to our companion website by clicking HERE.